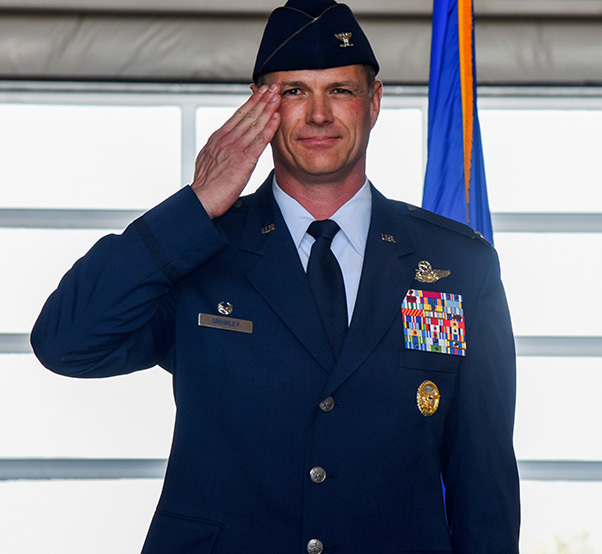 Col. Mike Drowley renders his first salute to Airmen of the 355th Fighter Wing during a change of command ceremony at Davis-Monthan Air Force Base, Ariz., June 29, 2018. 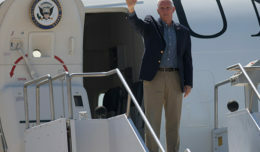 Drowley previously served as chief of staff for the United States Air Force’s central command, Al Udeid Air Base, Qatar. 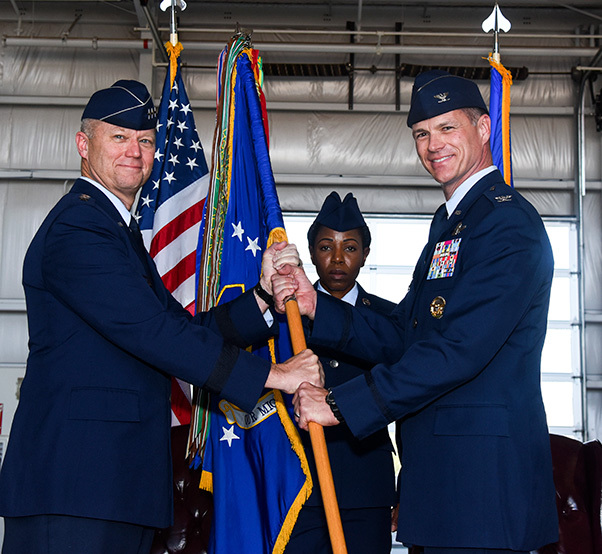 Col. Mike Drowley assumed command of the 355th Fighter Wing at Davis-Monthan Air Force Base, Ariz., from Col. Scott C. Campbell, June 29, 2018. Over the course of his command, Campbell responded to the Air Force’s pilot shortage by driving Air Combat Command’s goal to increase fighter pilot production, graduating more than 175 A-10 Thunderbolt II pilots, and revitalized the A-10 Demonstration Team after a five year hiatus. 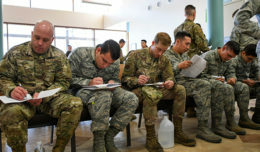 Campbell was also hand-picked as the Red Flag Expeditionary Wing commander at Nellis Air Force Base, Nev., where he led over 2,600 Airmen from 38 units through the largest Red Flag exercise in history. Under Campbell’s leadership, the 355th FW won more than 80 awards culminating in Davis-Monthan AFB winning the 2018 Commander-in-Chief’s Installation Excellence Award. 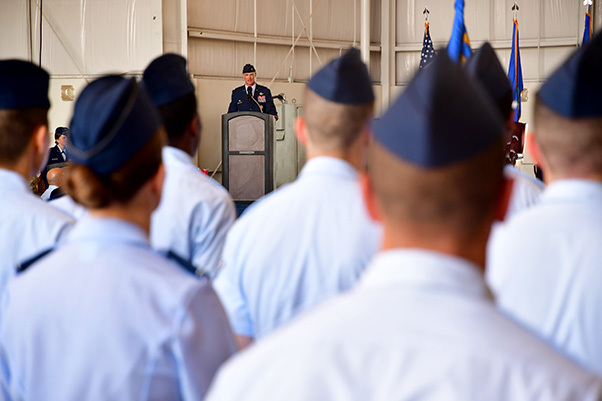 Col. Mike Drowley, 355th Fighter Wing commander speaks to Airmen during a change of command ceremony at Davis-Monthan Air Force Base, Ariz., Drowley previously served as chief of staff for the United States Air Force’s central command, Al Udeid Air Base, Qatar. After commanding the Air Force’s largest A-10 wing for two years, Campbell has been reassigned to the United States Air Force Academy, Colorado Springs, Colo., as the vice commandant of cadets. Prior to assuming command, Drowley served as Chief of Staff for the United States Air Forces Central Command, Al Udeid Air Base, Qatar. Drowley is also a command pilot and has accumulated more than 2,200 combined flight hours in the Beechcraft T-34, T-38 Talon, F-15 Strike Eagle, F-16 Fighting Falcon and the A-10. Lt. Gen. Mark D. Kelly, 12th Air Force commander, passes command of the 355th Fighter Wing to Col. Mike Drowley during a change of command ceremony at Davis-Monthan Air Force Base, Ariz., June 29, 2018. Drowley assumed command from Col. Scott C. Campbell. 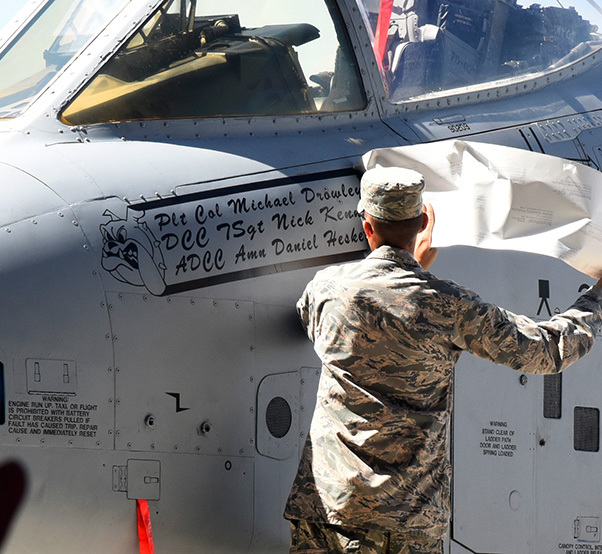 Airman Daniel Heskett, 355th Aircraft Maintence Squadron crew chief, reveals a name plate for Col. Mike Drowley, 355th Fighter Wing commander during a change of command ceremony at Davis-Monthan Air Force Base, Ariz., June 29, 2018. 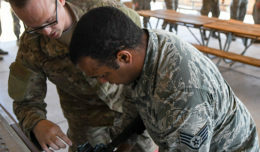 Drowley previously served as chief of staff for the United States Air Force’s central command, Al Udeid Air Base, Qatar.